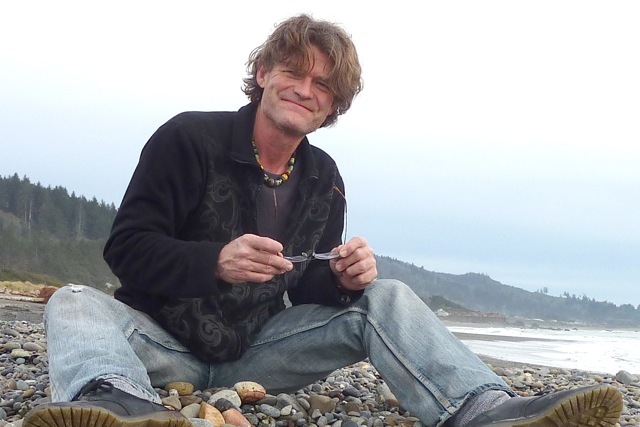 Beach-combing for jade along the southern Oregon coast. 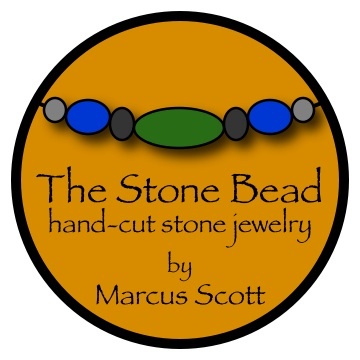 Marcus Scott of The Stone Bead. The Stone Bead will be displaying hand-cut stone beads every weekend at the Lithia Artisans Market of Ashland, Oregon (LAMA). The artists and artisans of the Rogue Valley and beyond gather along Ashland Creek during the sunny season to display and sell our creations, listen to original local music, and celebrate the abundance of our Mother Earth. I am honored to be part of this amazing group of talented artisans. Lithia Artisans Market is the hub of art and music in Ashland, Oregon, every weekend from mid-April ’til mid-Novemeber. Hand-cut custom beads I did over the off-season. The Stone Bead at Lithia Artisans Market of Ashland. Art along Ashland Creek. I did some amazing rock hounding over the winter months. From Bandon, Oregon to Big Sur, California, me and my beautiful lady, Carola Marashi, ventured up and down the coast stopping wherever the rivers meet the sea to explore the beaches of the Pacific. It is amazing what you find when you are open to the guiding light of the universe. 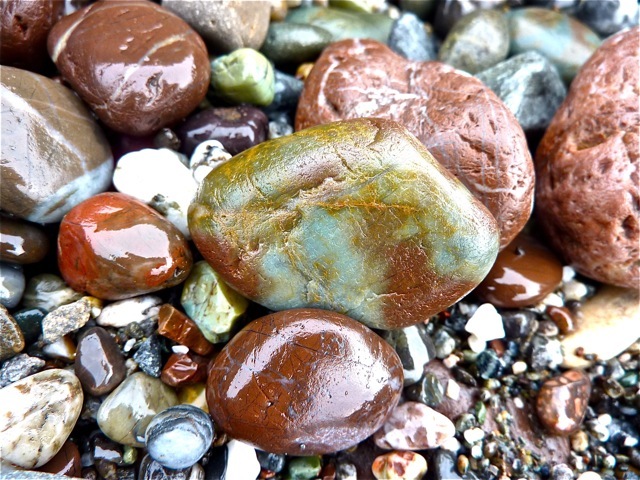 We found jades in many shades of green, jaspers in all colors of the rainbow, agates, diorites, and petrified woods. Big Sur Jade was somewhat elusive, especially at Jade Cove; however, we had a bit of luck in Kirk Creek. Both Mendocino and Sonoma Counties were a pleasant surprise for me as a jade collector. Wow! Can’t wait to share my new Northern California jade beads that really look and feel like pre-Columbian artifacts. 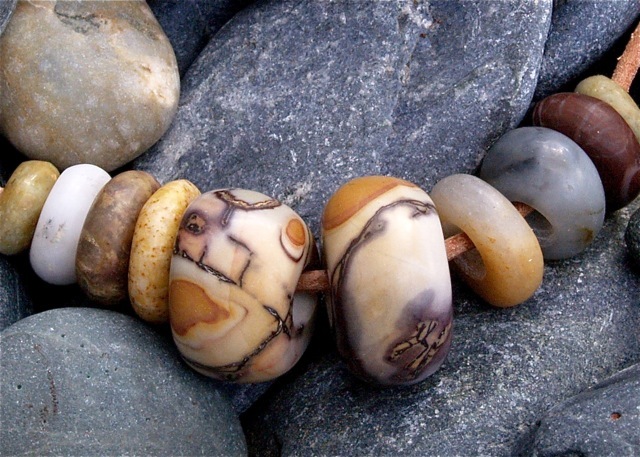 I have always worked as an artisan to master the look of ancient stone beads. After 20 years of stone cutting, I think I have honed my lapidary skills enough to say, “I’m getting it”. Simple is beautiful. Soon to be beads from the northern California coast. This weekend is “A Taste of Ashland”. The Stone Bead is stoked to be a part of the downtown scene and excited about the lineup of music at the Lithia Artisans Market. For more about the lineup, follow this link…. lithiaartisansmarket.org/a-taste-of-ashland. Art and music come together on Calle Guanajuato to create magic. Be sure to give yourself permission to be part of the enchantment and come explore the wonderful creations behind the plaza every weekend in Ashland, Oregon. Art along Ashland Creek. Support local, it matters. This entry was posted in Uncategorized and tagged Ashland, Big Sur, handmade, jade, local, Marcus Scott, micro-business, Oregon, pre-columbian, stone beads, stones, sustainable, The Stone Bead. Bookmark the permalink.